Learn how Tesla Autopilot using the radar technology to predict the accident just before it happened. Surely the human eye could not see that beyond. Jaguar I-Pace wins all three 2019 World Car Awards at this year's New York International Auto Show: World Green Car, Car Design and Car Of The Year. Getting your Tesla Model 3 windshield chipped, cracked or totally damaged can be heartening, let's look at the process and costs of getting it replaced. Occupant walks out of a Tesla Model 3 unharmed in an accident occurred in California, again proves the car's best safety standards — see exclusive photos. Tesla Autopilot saves several people from a possible accident on the highway by swerving the vehicle to avoid a collision with a lane changing pickup truck. A Tesla Model S driver runs into the river while trying to park at the Supercharger station in China, occupants are safe taking selfies. A Tesla Model X has been hit by a flying steel rod while being driven on that came out of nowhere, owner thanks Elon Musk and Tesla for his family's safety. Tesla Model 3 frontal crash avoidance incident recorded on car's dashcam where Tesla's standard safety features such as 'radar' & AEB are seen in action. A Tesla Model 3 crashes into a pole at high-speed on Wednesday night in Mississauga, Canada. Driver survives the incident according to local news. 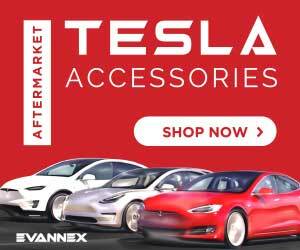 Let's dive into the details of the Tesla V9 software update for Model S and Model X vehicles with video demonstrations and details of all the new features. Tesla Model 3 earns a 5-star crash safety rating from the National Highway Traffic Safety Administration testifying Model 3 safety is top-notch — guaranteed. During an emergency landing on the street a DEA plane hits a Tesla Model X in Sugar Land, Texas — fortunately everyone survives with few injuries.